Allergy Standards Limited (ASL), the International standards and Certification Body (CB) for allergy labelling, today announced that the LG Styler by LG Electronics has passed the relevant Certification Standards. The product will now be added to the certification product database (CPD) and will therefore be eligible to joint one or more of the asthma & allergy friendly® Certification Programs in association with the relevant national patient advocacy group. The product will also now be findable on the certification web site and the companion app which is available in the App store and Google play. How did the LG Styler obtain the Certification? This ASP: 20-01/101 Certification Standard is targeted to Steam-Based Clothing Care products that are scientifically proven to reduce exposure to asthma and allergy triggers. The Certification Standard utilizes an algorithm of proprietary and recognized scientific techniques to assess Steam-Based Clothing Care for their ability to reduce allergenic and irritant materials. Product samples that pass certification testing are granted a certificate stating that the particular Steam-Based Clothing Care item meets the requirements for the asthma & allergy friendly® ASP: 20-01/101 Certification Standard. ASL subjects the items to both physical and chemical testing to ensure that they do not have properties that is likely to irritate both asthma and allergy symptoms in susceptible people. While in operation, ability to not contribute to poor indoor air quality including humidity, airborne and ozone. LG then obtained the certification after the product they sent for testing passed the tests and met the scientific requirements. LG Electronics sells a range of stylish and innovative home appliances, home entertainment products, mobile phones, commercial displays, air conditioning systems and solar energy solutions in the United States, all under LG’s “Life’s Good” marketing theme. 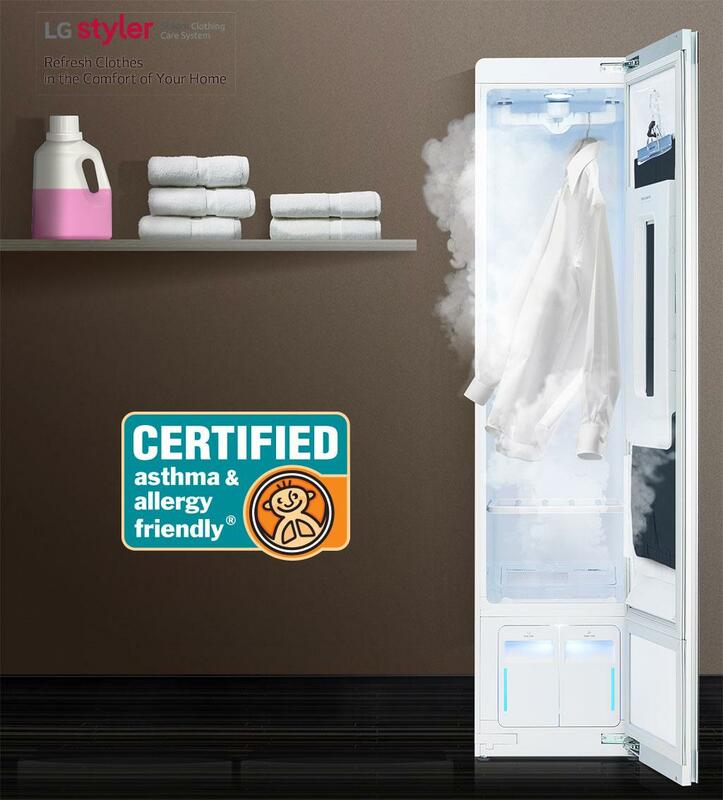 As LG Electronics goal is to bring premium quality products to their consumers, certifying their products as asthma & allergy friendly® was a coherent step moving forward.